…and, you succeeded (at landing a live broadcast interview!). This occasion warrants the happiest of dances, my friend. But hold off on busting out all of your best moves—your job isn’t over yet. On one hand, a live broadcast interview is an extraordinary opportunity. You can ensure all brand messaging is included in the interview (without the risk of the outlet editing them out). For in-studio TV interviews, you can also arrange the set with a variety of branded props—with the producer’s permission, of course. On the other hand, a live broadcast interview can be fairly terrifying. Discusses confidential information (that may even have legal consequences)? Doesn't remember what to say? Yes, these are all potential scenarios, and, yes, they are all horrifying. However, this doesn’t mean you should avoid pitching ideas for live broadcast segments. It just means you should prepare your spokesperson very well for these types of interviews before they happen. 1. Create a prep doc. When coordinating the details for the segment, ask your media contact if there are specific questions (other than the topic you pitched) that they would like to ask during the interview. Note: This is also a good time to discuss any topics that are off limits during the interview. The interview date and time. The interview location or dial-in number. A quick description of the outlet, including the show’s tone and audience demographics. The interviewer’s bio and related social media profiles. Three to five key messages you would like your spokesperson to focus on during the interview. Links to recent clips from the show. Think of this prep doc as a study guide with the most important information your spokesperson will need before the big exam (aka, the interview). Regardless of the level of experience your spokesperson has with media interviews, always plan for media training prior to a live interview. Hold a mock interview and record your spokesperson. After the interview, review the recorded segments and indicate where he or she shined and where to improve. This is also a good exercise to review any nervous tics (e.g. fidgeting, gesturing too often, looking up at the ceiling to answer questions, etc.) The spokesperson is less likely to continue these nervous behaviors on camera if he is conscious of what he looks like. If the interview is on TV, recommend what your spokesperson should wear to the interview, as well as the types of outfit choices to avoid. Review where to meet for the interview, and what time to arrive. Note: If the interview is going to be in-studio, the outlet may have special instructions for how to enter the building. Encourage your spokesperson to practice as much as possible prior to the interview. The day of, attend the interview and arrive early to review the practice questions and messaging with your spokesperson one last time. If you cannot attend the interview, set up a call with the spokesperson before he or she leaves for the interview. Remind them that the reporter is a person, and the spokesperson is the subject matter expert. They should pretend the cameras and recording devices do not exist, and have a normal conversation. Explain that the interview will not last long at all. As long as they remember to plug the key messages, the conversation will be over in the blink of an eye. Tell them to have fun! This is their chance to shine and demonstrate their expertise. How else have you prepared a spokesperson for live interviews? Share your tips and lessons learned in our comments section below! Angela Masciarelli is a senior consultant at PR 20/20. 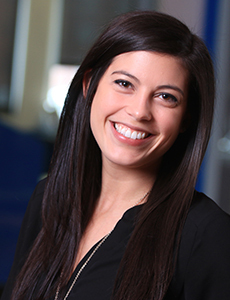 She joined the agency in October 2013, after spending two years as an Account Executive at a New York City PR firm. Angela is a 2010 graduate of the E.W. Scripps School of Journalism at Ohio University, where she received a Bachelor of Science in Journalism, with a focus in public relations. Full bio.